Hello. I need a verification. I need to flash NBT + touch controller which are installed to e-series bmw. I will install NBT, touch controller and touch module to a F30 with factory NBT. For actual flash I will use factory FA of that F30, with donor NBT vin. I don't have a can-filter. 1. Is this setup ok? No problems with mismatching VIN between FEM and FA/NBT? 2. Can I turn off VCM & MSM update? I want to minimize all effects to the F30. Last edited by ap90500; 09-06-2014 at 08:43 AM. Why do you need to flash? Is it only to enable Touch? Unless you are on firmware NBT_D, I would stick with it. A few more question: My understanding of what you want to do is: You have an F30 with NBT, but want to replace this with another NBT+Touch Controller+Module, is this correct? NBT will accept any VIN, either from flashing or thru importing FSC, and maybe thru writing view FSC Extended function, so that is not a problem. If you plan to import existing FSC from the other NBT so you don't have to use CAN filter, this may complicate things a bit. No, I don't want to replace anything on F30. NBT on that E60 needs update, I think that it was because of the touch controller and some other issues, maybe with eNBT adapter. The thing is that it can't be flashed on E60 with eNBT so I must install it to F30 and flash it. So F30 works only as a "flashing board", I want to keep the same VIN that has been already stored to that NBT. Other option is to flash the NBT with F30 vin and then import & activate FSC codes of this F30 but less is more on these things. The VIN will be no problem, thanks for confirming this. How about the VCM/MSM update? Of course I can backup the VCM and then after flashing, replace it with the backup. It would just be easier to do it without whole VCM update. Last edited by ap90500; 09-06-2014 at 12:45 PM. In my experience, it seems my SVT still gets updated even if VCM Update is not checked. So, what I do to reset it back is check VCM Update then VO Code one of the ECU. Note that I'm only doing this because I have just over a year left on my warranty. I think NBT_D is ISTA/P 49.x. First release of NBT firmware. So I should create an FA with Donor VIN, only for flashing NBT? Is that the right way? I think I should create a modified FA with 609, 6NS and so on, before flashing NBT right? Or should I use original FA with Donor VIN for flashing. And after that only VO Code NBT with modified FA? In my experience, it seems my SVT still gets updated even if VCM Update is not checked. So, what I do to reset it back is check VCM Update then VO Code one of the ECU. I have an NBT on my desk here that I want to get going before I bring it anywhere near my car. As things stand, I think I'll need a new ZGW because my car build date is 09/11 (the one I have has got MOST going through it - newer one doesn't have this I believe) - can anyone confirm? I can power the NBT up on my desk, but it stays on for only 30 seconds (as I believe the NBT needs to see the car in order to stay on). If I connect a new ZGW to the NBT on my desk would the NBT remain powered up or does it need to see a CAS as well? Looking at the CAN data off the NBT, I see it's broadcasting the same message out for a few seconds, with the last byte being 0x63, which I believe is the NBT address - anyone know what the response structure should look like in order for the NBT to remain on? I think you're way ahead than everyone if you are already looking at CAN messages. You may have to sniff the CAN messages at startup and figure out which one is needed by NBT. I don't have any experience programming NBT on desk but I was told once that some sellers do use Gateway/ZGW to flash NBT, but whether CAS or any other component is needed, I don't know. I guess I should just start a new thread, hopefully the propeller heads feel like sharing some 'under the hood' details For those that are interested, I've taken lots of pics of the internals of the NBT. I've only taken apart the top portion where the drive and HDD portion is. I'm planning to open the bottom as I wanted to find out if the GPS, SAT and radio modules are removable. Are they? Are you using ICOM or ENET? In my case error ocured while using laptop with native ista installed, after changing computer to the one with esys installed on win8 64bit it flashed NBT without problems. I'm starting to think that maybe java version has something to do? i've attached some more internal photos, if anyone finds out how to activate the sdars station icons, please share. Last edited by jweek; 10-02-2014 at 10:17 AM. I have had this happen to me once on a particular laptop with RealTek NIC card. Works great on Intel and Broadcom cards. Thanks! 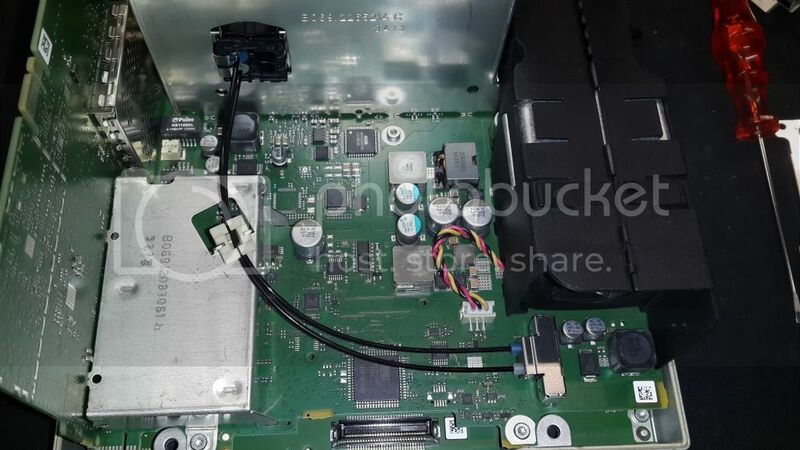 So it looks like the DAB/SAT/Radio is a separate module/daughterboard and the GPS is on the motherboard. I wonder if I could mix and match components. My old unit's GPS is perfect but without HD Radio and SAT. My new one has it but the GPS module is flaky. Hello. I am trying to avoid flash fail with NBT, and I need help quickly. 07/2014 produced F30 with comfort access. When I leave ignition on, key inside car and drivers door open, ignition turns off after aprox. 20 minutes. Can I proceed with flash? Is there something to do to make ignition stay on? Power source is connected and engine is off. Thanks! I sent you email, please check it asap. I already started the flash. It's probably done by now, but yes, it was correct. Yes, it's done and it works. Thanks for TokenMaster and ShawnSheridan for confirming my thoughts via PM. So I installed NBT from E60 to F30, flashed it with F30 vin, upgraded F30 fsc-codes to NBT and reinstalled NBT to E60.